The third album from L.A. ska-punk band The Interrupters, Fight the Good Fight gets its title from a piece of graffiti spray-painted outside the studio where they made their debut. The follow-up to their 2015 album Say It Out Loud, Fight the Good Fight finds The Interrupters delivering their two-tone-inspired, powerfully melodic, punk-fueled sound with more vitality than ever before. Working with Rancid frontman and Grammy Award-winning producer Tim Armstrong (who’s now produced all their albums) and Grammy Award-winning mixer Tom Lord-Alge, Aimee and the Bivona brothers channeled that raw energy in part by recording almost entirely to tape. True to the album’s theme of persevering through hard times, Fight the Good Fight opens with Title Holder replete with ‘never give up’ lyrics and some neat vocal harmonies that give the fast-paced track a Motown tinge. It’s a stomping, sing-along romp that showcases the band at their very best. Next up is So Wrong with a clap-along beat and slashing guitar riffs, the lyrics point to some deep self-reflection. On She’s Kerosene, The Interrupters slip into a more intense but still-triumphant mood as Aimee reflects on breaking free from narcissistic abuse (“I really hope when people listen to that song, it helps them feel empowered to leave a toxic relationship,” she says). The ska-punk approach lends well to a rousing song that could be a rallying cry for the burgeoning “Me Too” movement…great stuff! 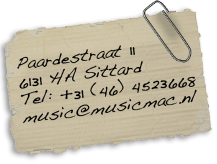 The ominous keyboards that accompany the reggae beat of Leap Of Faith give the song an off-kilter sound whilst the raucous Got Each Other offers a message of street-punk unity and features vocals from all four members of Rancid – wow!. In another moment of collaboration, the brash and bouncy Broken World was built from a riff and melody passed on by Billie Joe Armstrong while The Interrupters were on tour with Green Day. The “1,2,3,4..” shouted opening to Gave You Everything gives way to a mid-paced punk rocker with Aimee’s vocals on fine form – a little early No Doubt in atmosphere, the band show us their punkier side on this one whereas Not Personal is a full on ska-two-tone classic! The shortest track of the twelve is the sub-two minute, Outrage commenting on the times we are a living in and Rumors And Gossip is a more personal political song with a super singalong chorus. The penultimate track, Be Gone opens with a bass lick that is joined by an organ and develops into a bouncy ska track. The closer, Room With A View begins with a Clash style riff, gives way to an up front vocal before exploding into a super chorus with lyrics lamenting the passing away of a friend – it’s emotional, powerful and bloody brilliant! As they gear up for the release of Fight the Good Fight, The Interrupters hope the album provides some solace to anyone feeling disillusioned. “Music’s gotten me through the toughest times in my life, so now my mission is to give back what I’ve been given—to help other people know that if they feel defeated or not good enough, they’re not alone,” says Aimee. 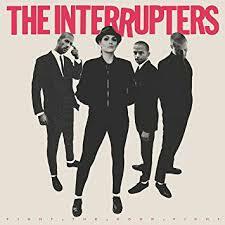 One of the brightest lights on the punk scene right now, The Interrupters have released a super album for the times!